The Alzheimer’s Foundation of America (AFA) has appointed Dr. Peter Davies, one of the world’s top Alzheimer’s disease researchers, to its Medical, Scientific and Memory Screening Advisory Board. The Board is comprised of leading experts in the care, research and treatment of Alzheimer’s disease. Peter Davies, Ph.D., is the director of the Litwin-Zucker Center for Alzheimer’s Disease at The Feinstein Institute for Medical Research. He is also a professor of pathology and neuroscience at Donald and Barbara Zucker School of Medicine at Hofstra/Northwell. For more than 35 years, Dr. Davies’ research has focused on the biochemistry of Alzheimer’s disease. This includes exploring the underlying causes of some of the more disturbing behaviors associated with Alzheimer’s disease, including agitation, hallucinations and aggression, as a means for identifying ways to treat them. His team’s main area of research has been searching for the reasons why a normal brain becomes a brain with Alzheimer’s disease. Dr. Davies has published more than 250 research papers. 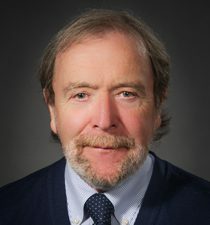 He has received numerous awards for his research, including the Lifetime Achievement Award from the International Congress on Alzheimer’s Disease (ICAD), the City of New York Liberty Medal, the Ciba Geigy/Drew Award, the Metropolitan Life Award, and two MERIT awards from the National Institutes of Health. AFA relies on members of its Medical, Scientific and Memory Screening Advisory Board for expert insight and opinions on scientific issues surrounding Alzheimer’s disease and related dementias, as well assistance with the development of AFA policies, programs and advocacy efforts related to research and care.